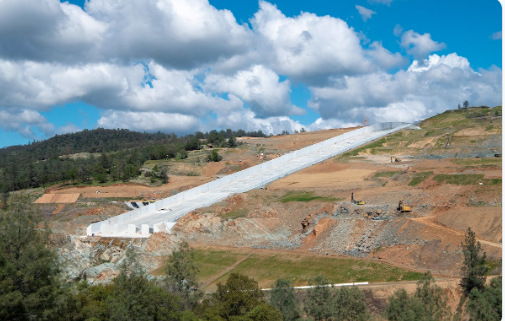 The reconstructed spillway at Oroville Dam in California could be put to use in early April, with the Department of Water Resources (DWR) preparing for its potential use by removing equipment from the spillway and removing the lower access road. DWR said it is closely monitoring Oroville reservoir levels and current forecasts, and, due to storms expected in the Feather River basin, is taking steps to prepare for use. Temporary cameras and lights have been situated alongside the spillway for observational purposes when water begins to flow down the chute. Oroville Dam captured the world’s attention in February 2017 when the auxiliary spillway at the project failed, leading to a major reconstruction project. The newly constructed spillway was now built to its original design capacity of 270,000 cubic feet per second and was completed in late 2018.